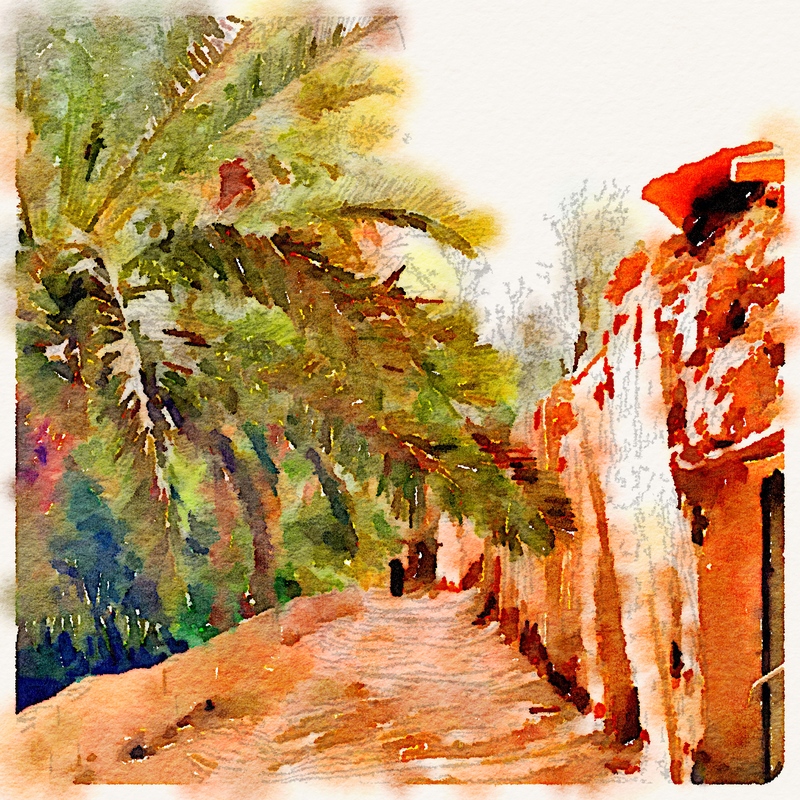 Then ran it through the Waterlogue app. So with a liberal definition of the word “paint,” you could say I painted it myself. I didn’t get to the place where I took the picture by myself, either. 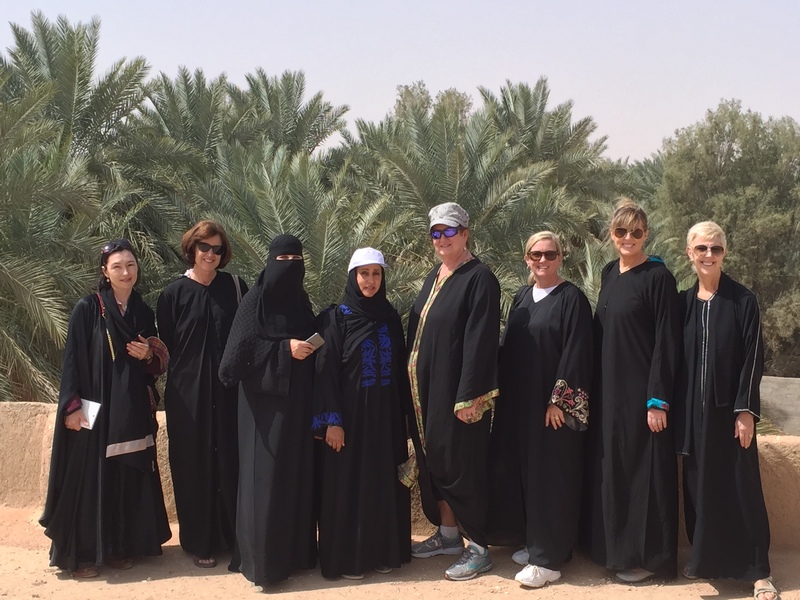 An outfit called Haya Tours took a group of us on a day trip to Raudat Sudair, a national heritage site north of Riyadh. I’m giving credit because this is no routine exercise. Saudi Arabia doesn’t grant tourist visas. You can’t enter the Kingdom to just look around, so being in the tourism business here carries a unique set of challenges. First among them is getting the locals to understand that tourism is a thing. 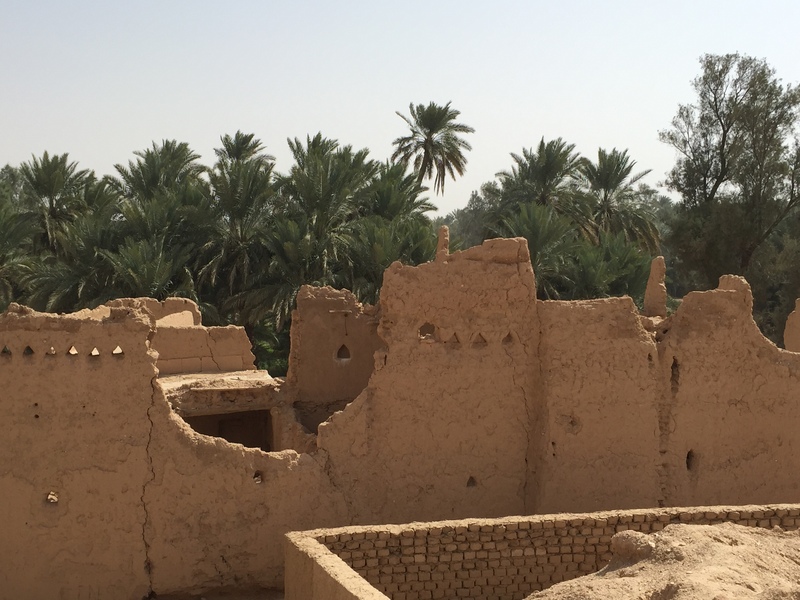 When I made my first trip to see desert ruins shortly after I got here, the men in our group all reported having Saudi coworkers say “Why would you want to do that?” when they explained our weekend plans. 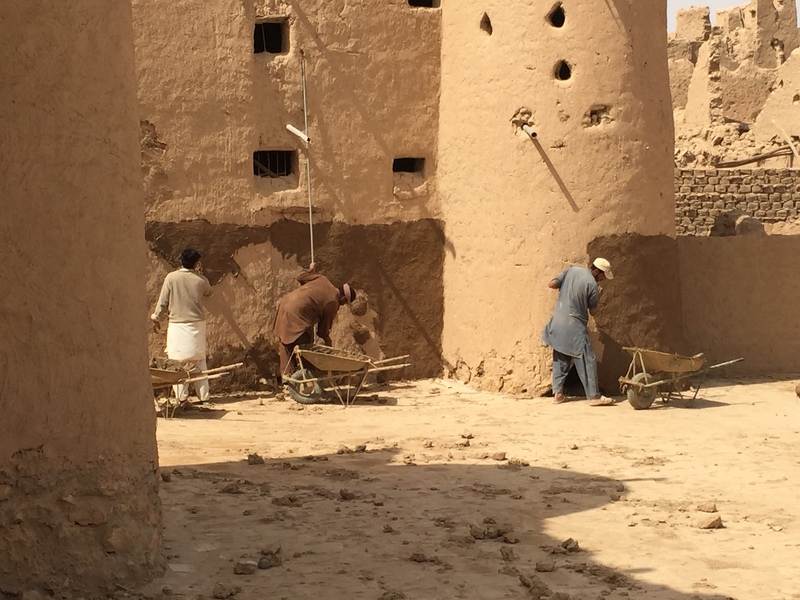 These mud brick villages aren’t rare, exotic, super-cool relics of a romantic past to them. They’re Mom’s house. And Mom lives in a much better house now, with air conditioning. I get this. 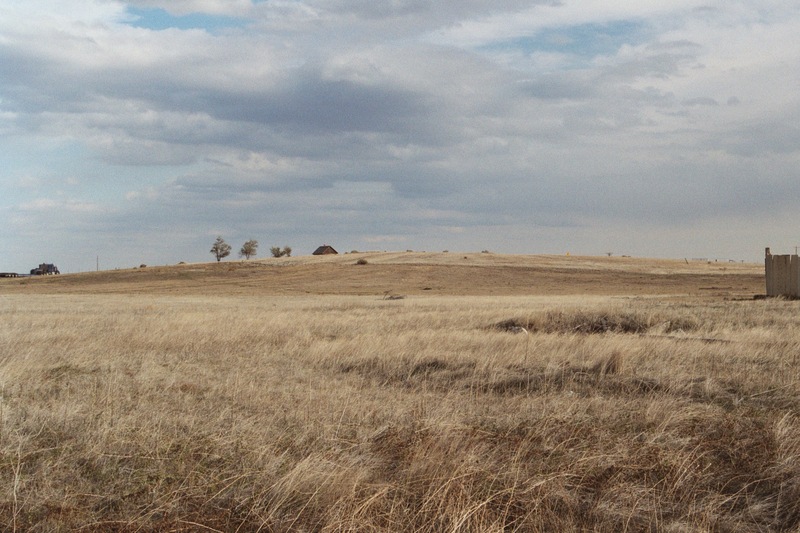 My grandfather grew up on a dryland homestead on the eastern Colorado plains. The actual Wild West. 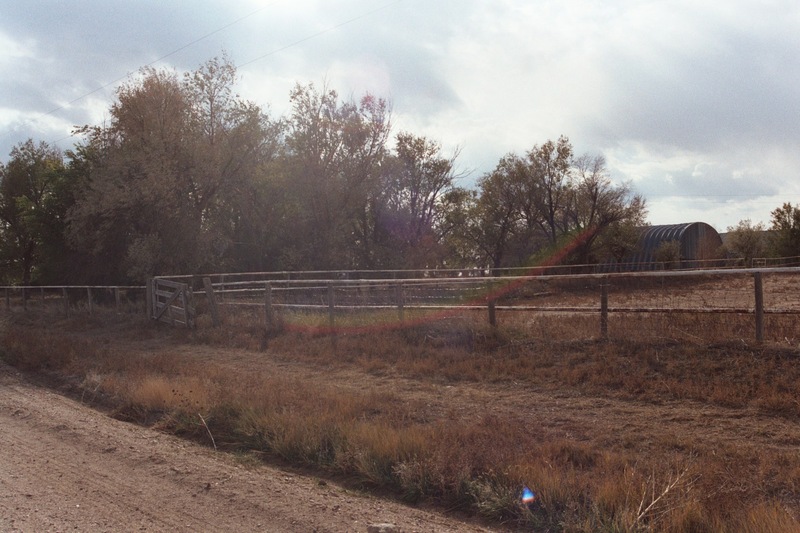 It’s a couple of hours away from my home in Denver, so I’ve been there and taken my mom and uncles. We stomped around, met the folks who live there now (“Greeley was just getting toooo big”), collected bricks from the demolished school, and wondered how closely the current property resembles the one he grew up on. Did he shoot rattlesnakes from there or there? Was this the road he walked to town? When he left the homestead, though, he never looked back. To him it represented a miserable life of back-breaking work and small reward, and once he was settled in California he told his children that he didn’t care if he never saw another snowflake. I’m sure he would’ve wondered what on earth we were interested in that awful place for. 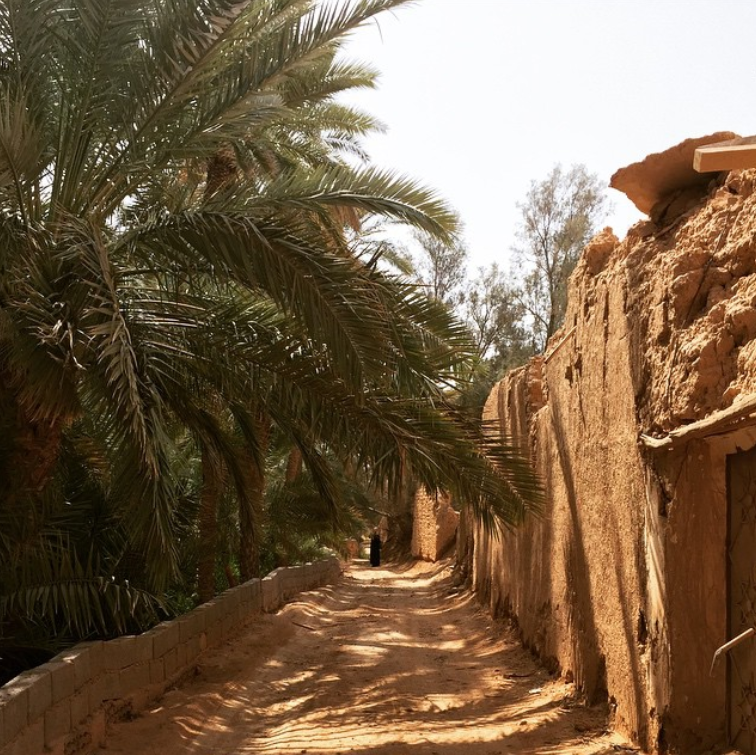 Salwa, our guide to Raudat Sudair, said people were living in this village until 1985. 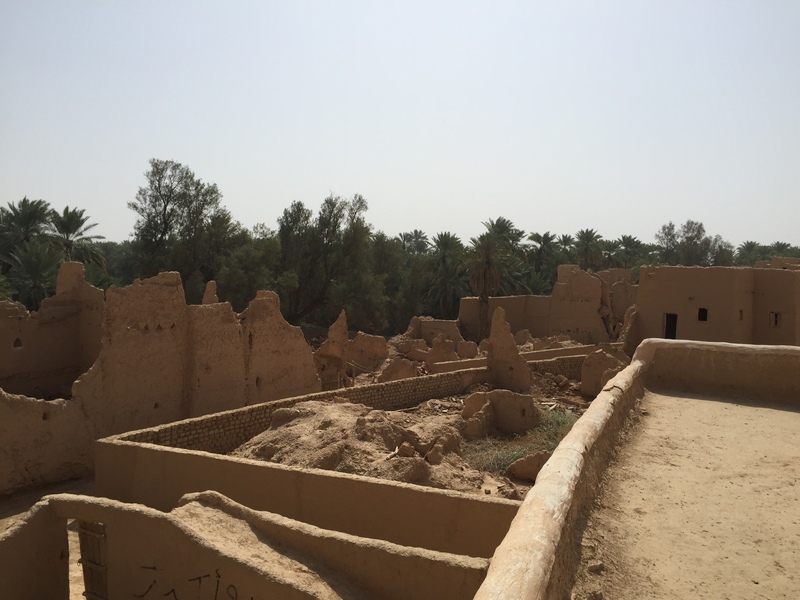 Inside these mud-brick ruins that look as if they’re 2000 years old you’ll see milled timber studs and electrical panels. So yeah, it’s mom’s house. 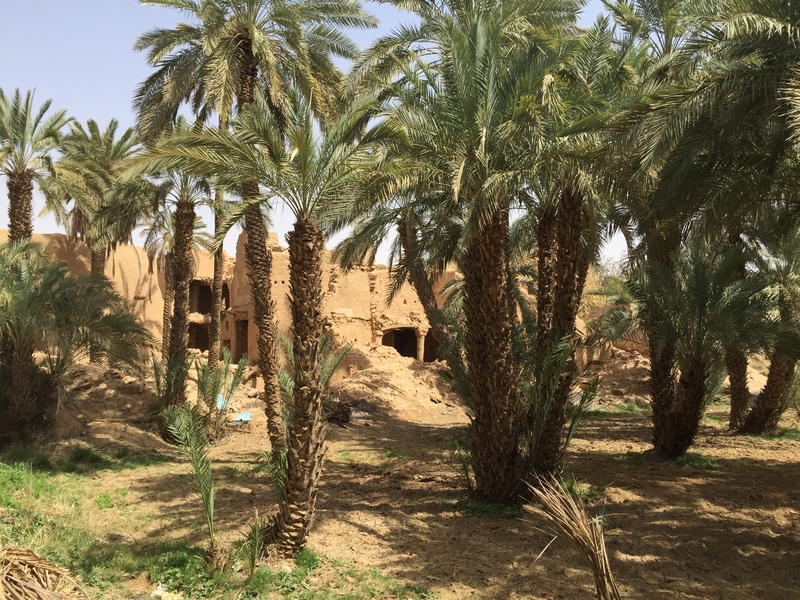 It may look a little older than your mom’s house, though, because the mud brick melts fast, even in a place without much rain. 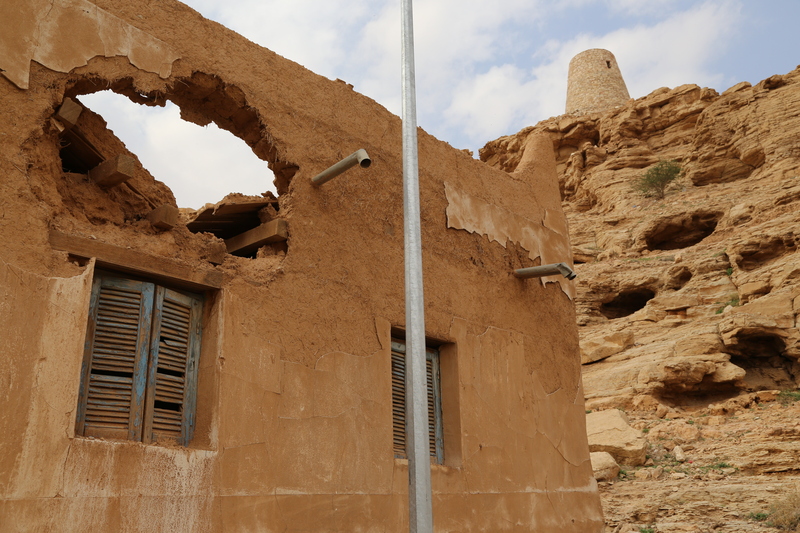 Keeping these structures intact requires constant repair and maintenance. The minute you stop, they dissolve. Many of these structures are hundreds of years old, at the core, but have been constantly patched, revised, torn down, and rebuilt. 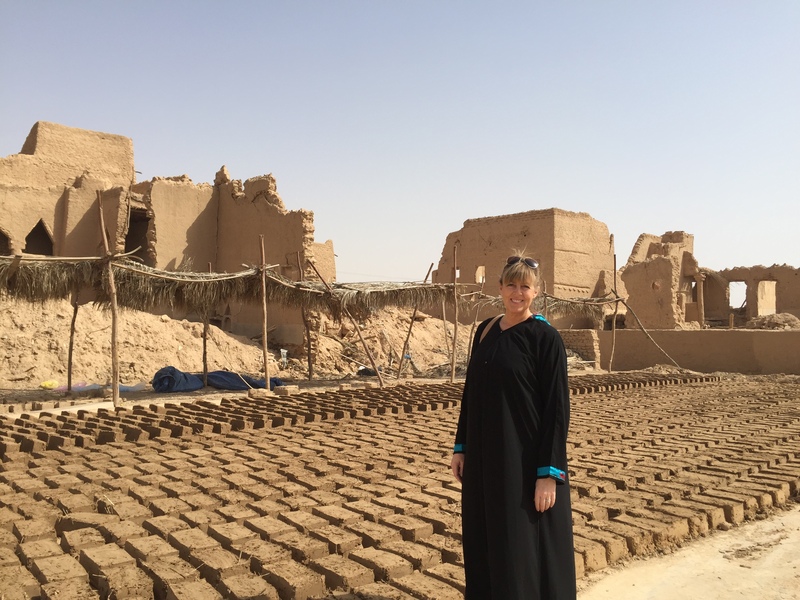 Me, acting as if I had something to do with this field of new mud bricks. 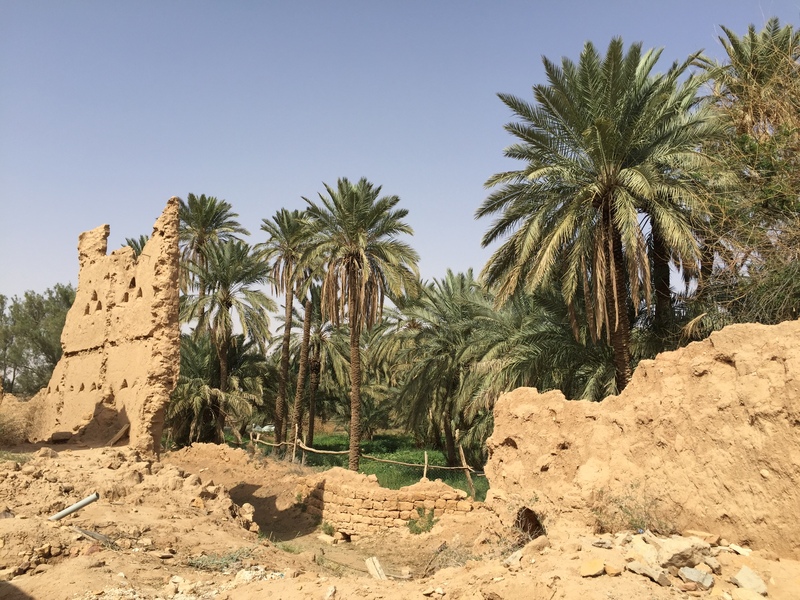 Unlike many of the ruins peppering the desert, Raudat Sudair has been designated as a national heritage site and efforts are underway to preserve it. 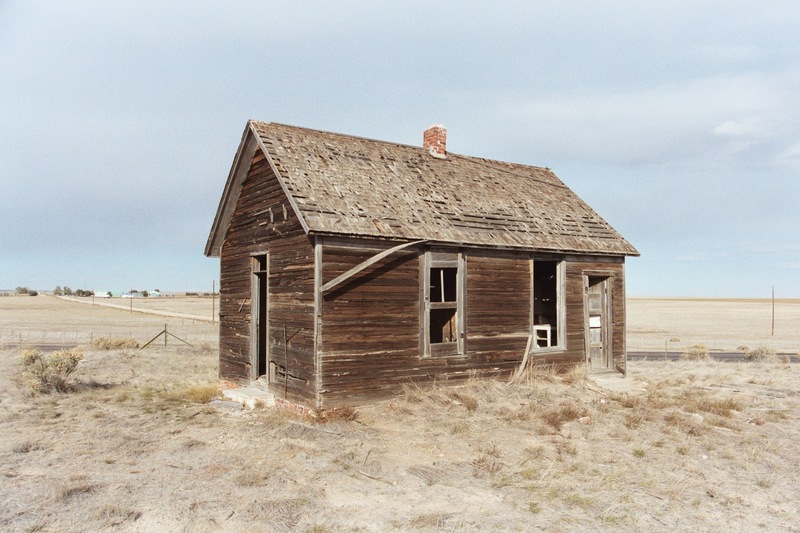 Most of the homes are still owned by families that have relocated to the cities, and there’s been a concerted effort to find them and get them to keep the properties up. 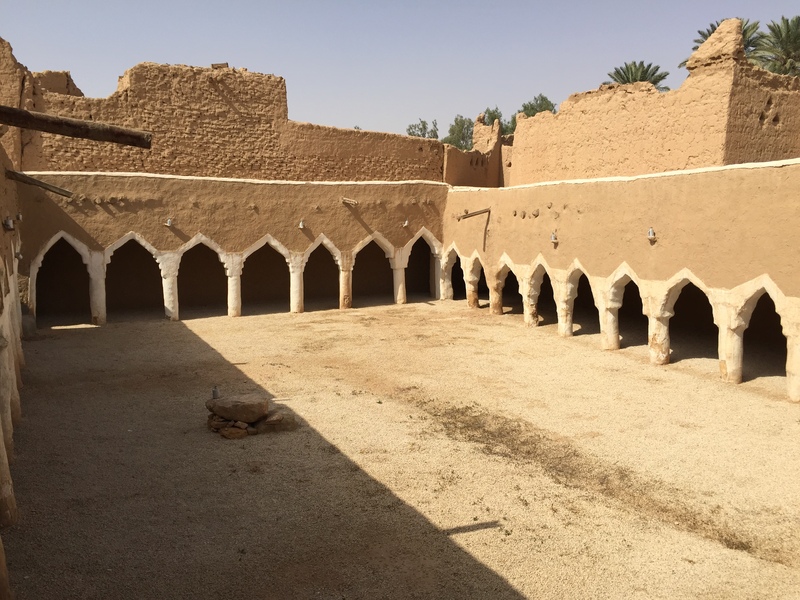 Salwa pointed out one very large home in particular that would make an ideal living history museum, but which isn’t in good enough condition to allow anyone inside. 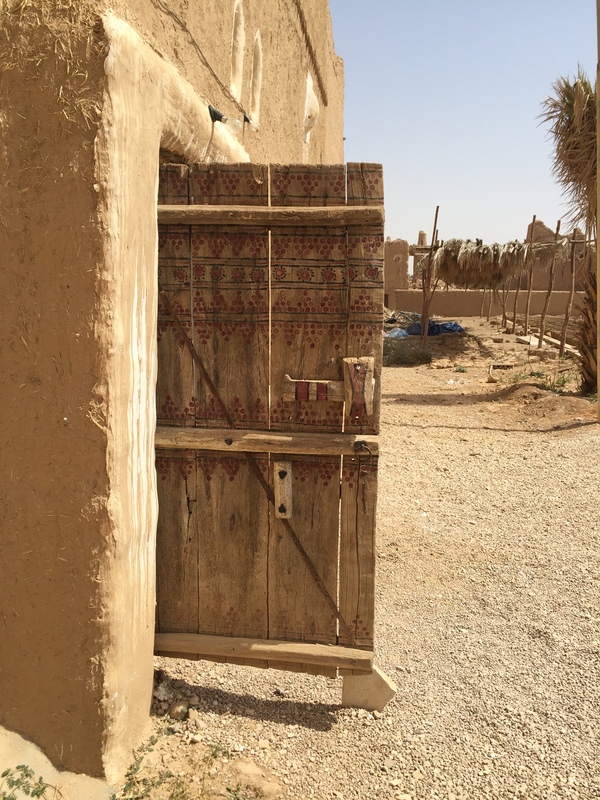 It belongs to a wealthy Riyadh family that has homes abroad, but has no interest in spending money on the old place. The cities have done a lot to change Arab life. I’m sure it’s as easy to see the grandparents’ lives romantically here as with my grandfather, but in every place you wish more of the old ways could carry forward. Yes, you’re cooler in an air-conditioned modern house, by far. But we’ve kind of escalated the need for air conditioning ourselves, haven’t we? With the houses so near each other, from the roof you’re really literally on top of each other. There’s no TV, no radio, no privacy…and no secrets. You know whose baby had a rough night, who’s enduring a snoring husband, who has a bad cough. I imagine this would make me crazy. But it would also make me feel supported (especially if I’d never known anything different). 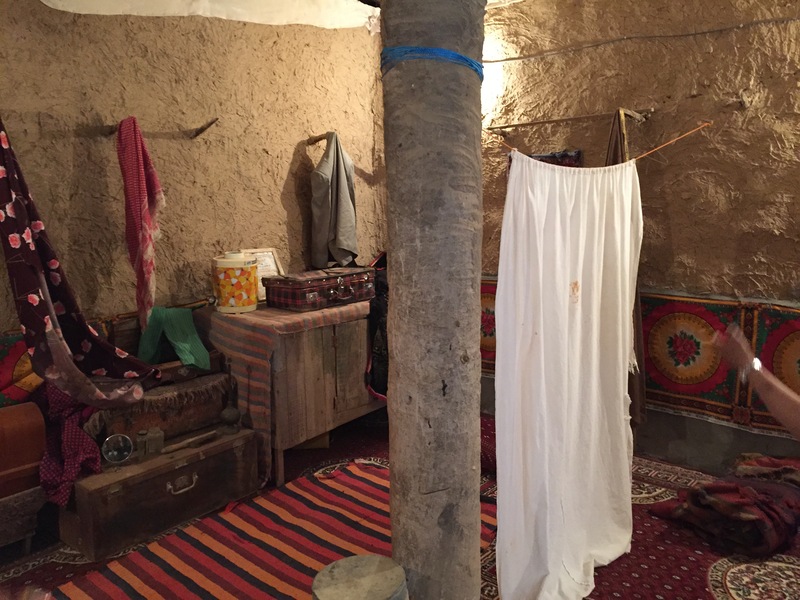 I was in a conversation a few months ago with some foreign wives of Saudis commiserating with each other about their intrusive mothers in law, women with no Western sense of personal boundaries, who probably grew up with village-style mothers of their own. Saudis do tend to complain about that intrusiveness today, the consciousness that others are always watching and judging what they’re doing. (Up to and including strangers in public places—seriously.) And perhaps in response to that, city homes are built behind high walls. Gone are the mashed-together village homes, the communal well, the public square in front of the mosque. The physical proximity of the village has been replaced by texting, Facebook, Twitter, cell phone conversations—tribe via social network. The result? The hints I pick up around me suggest you end up with the intrusiveness of the village without the physical support; the isolation of the city without the freedom. Sounds tragic, but let’s remember how little my grandfather missed the idyllic farm from his teacher job in Los Angeles. After enjoying the village, we had lunch in the kept-up (not restored) main room of one of the houses, which is also available for overnight and event rentals. 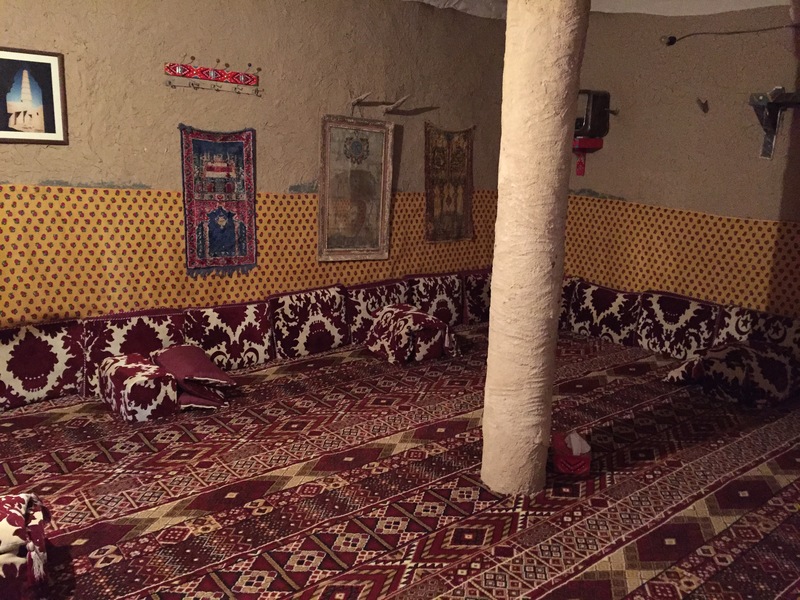 Traditional Saudi seating is on the floor, on cushions arranged against the walls. The room, the gathering of people in it, and the sofa are all known as a majlis, and I’m VERY keen to go home with a set. I mean, come on–grandkids’ reading nook, anyone? 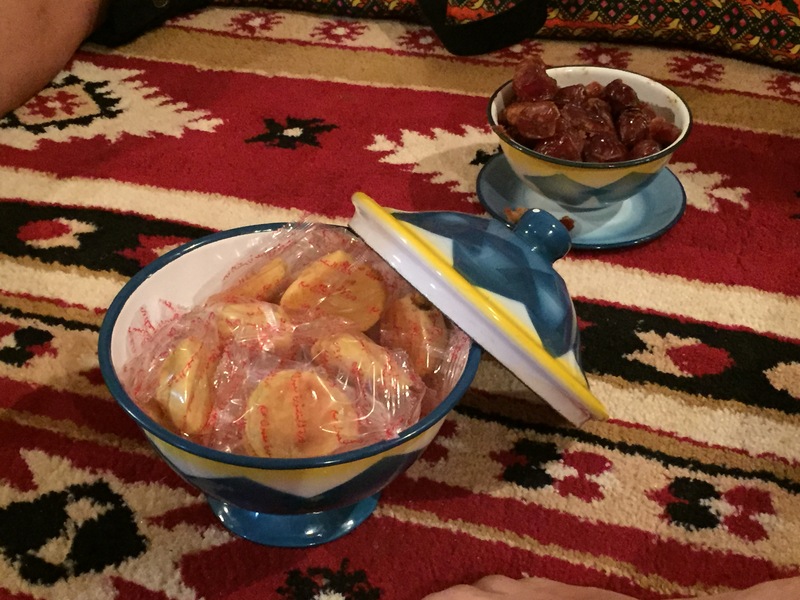 We relaxed here with tea, Arabic coffee, juices, and dates and mamoul, which are fruit-paste-filled cookies. Think Fig Newtons, but milder and more tender. Then came the main dishes. And here’s where my mind got blown a little. Lunch was GOOD. I’ve had my fill of the ubiquitous Saudi dish, kebsa, which is a meat-and-rice concoction I would be happy to never see again. (Granted, I’ve had it mostly institutionally. If you make a kebsa where the meat is tender and the rice is flavorful, call me. I’d love to have my mind changed.) THESE dishes, though, were wonderful, made by local women. I will never know their names, and want to kiss them. 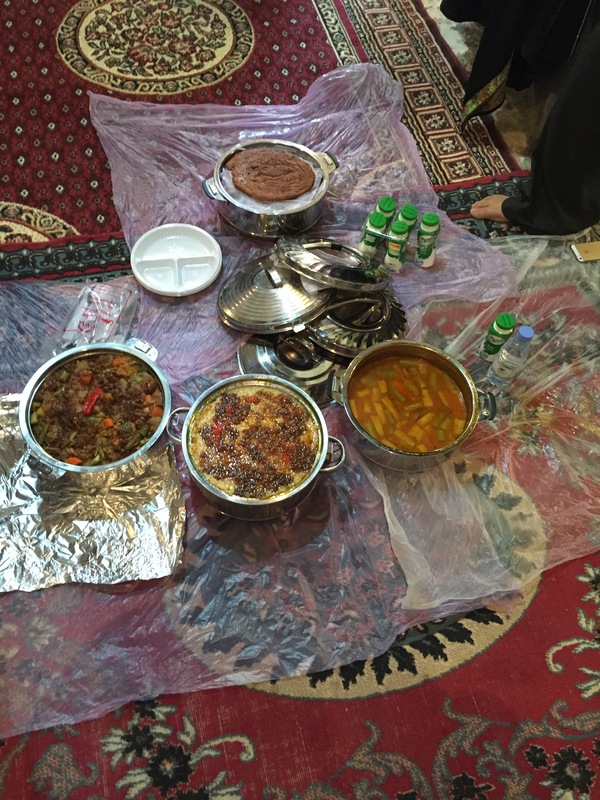 We ate on the floor, Saudi style, using the brown bread to sop up the stews. 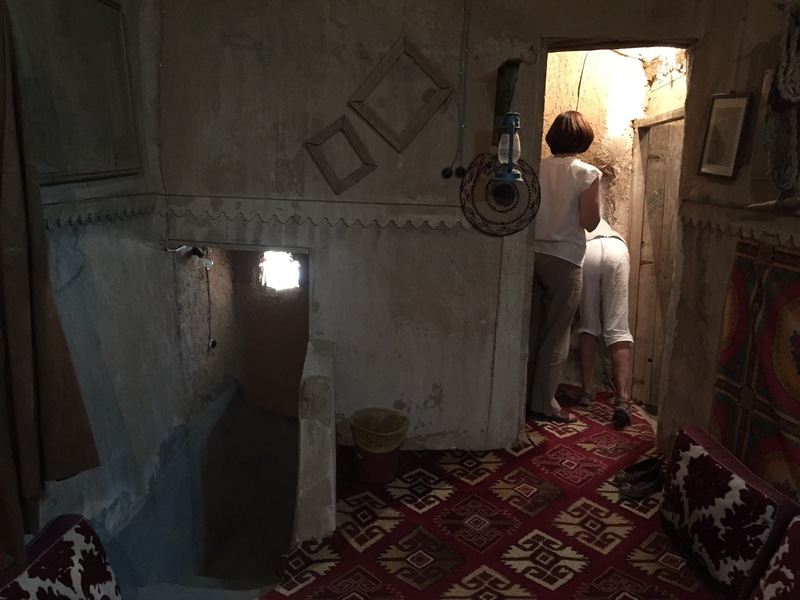 Then after lunch we explored the house, where we got to see interiors as they would have been lived in, rather than in disrepair. 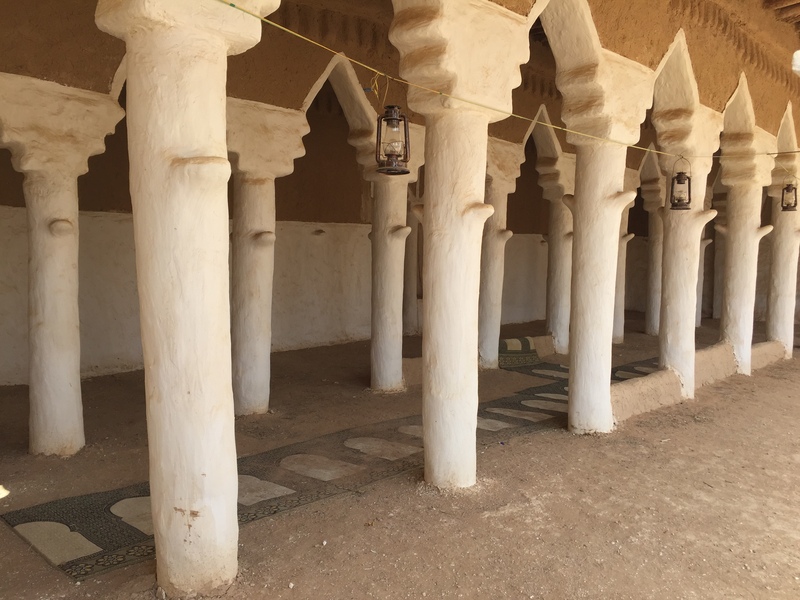 And finally, the heart of village life, the open-courtyard mosque. Still used by whoever happens to be around at prayer time. But the best part of the day, by far, was Salwa’s narration of it. 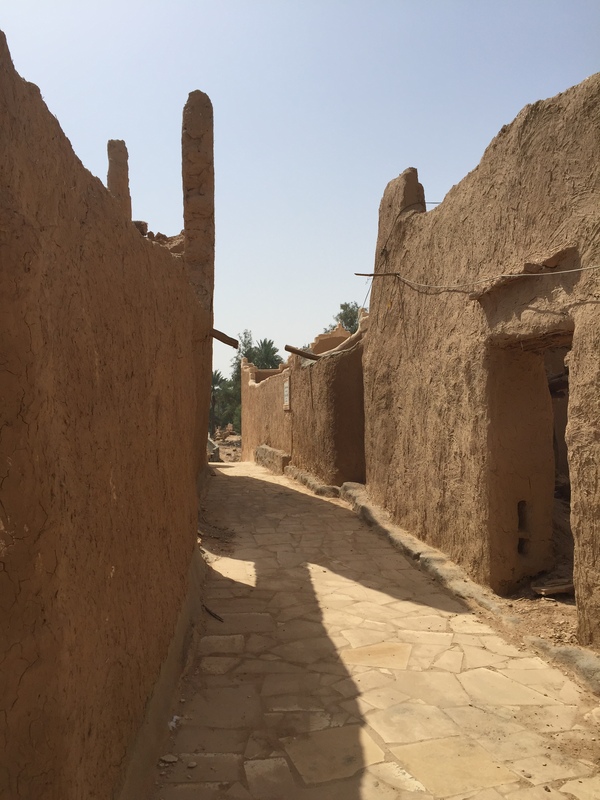 I could walk around desert villages til I dropped (and did one day) and not get out of it what a local guide can offer. 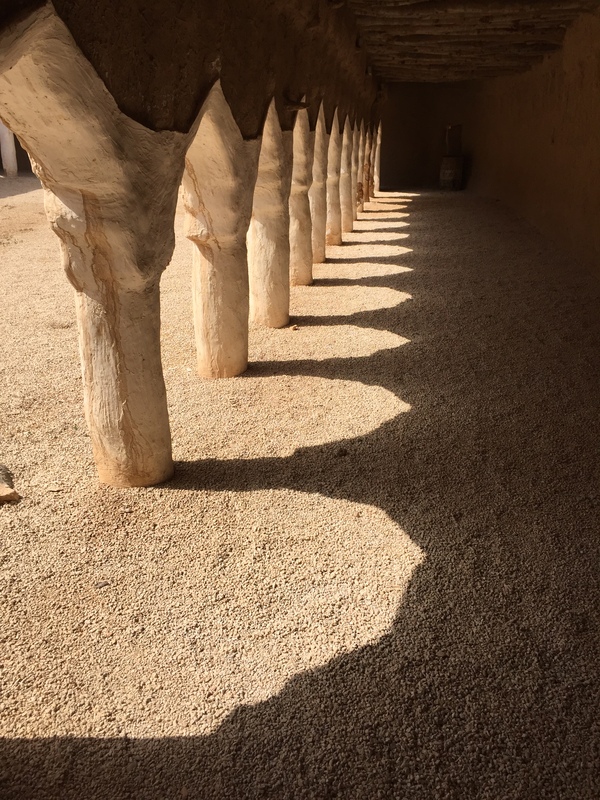 If you’re in Saudi Arabia, bookmark their home page and get yourself on the email list for their schedule of tours. The infant tourism industry needs a lot more support around here than McDonald’s does, and supporting it sends you home educated, entertained, and with your arteries at least in the same shape they were when you left home. Maybe better. Win, win, win. What a great post! Thanks for the pics and the wonderful narration! I will have to plan this the next time we’re in KSA. Magnificent! I’m glad you enjoyed. Thank you! Thanks so much, lovely post. Thank you! No, this is different. 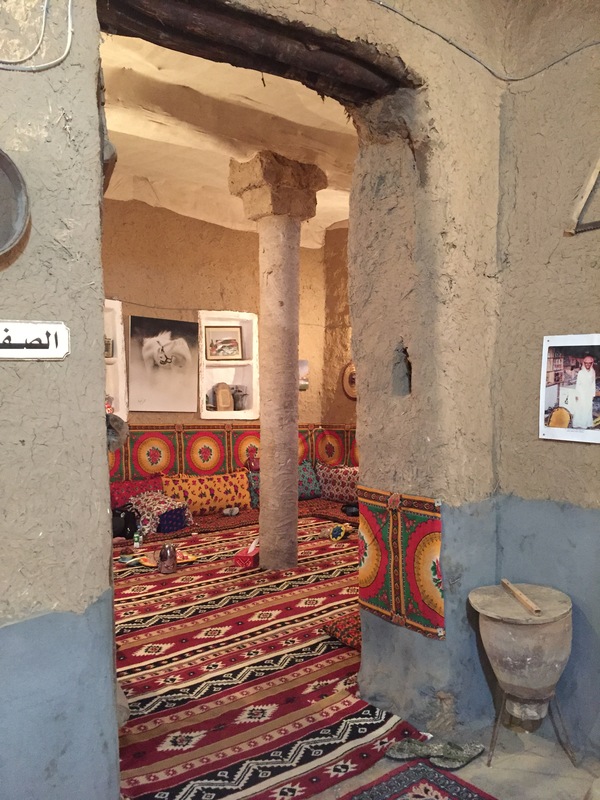 I’ve been to Ushayqr as well, which has more going on with the shops and museum. Enter “Raudat Sudair in Google Maps and you’ll see it up Road 65, northwest of Riyadh. I hope that helps. Thank you again for a wonderful day, Salwa! Beautiful pictures. 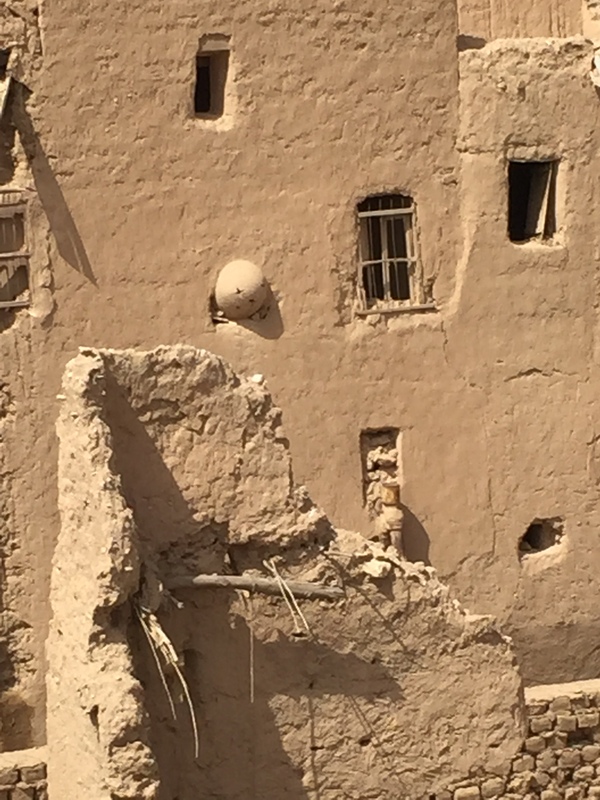 Reminds me of the mud homes of Iran. 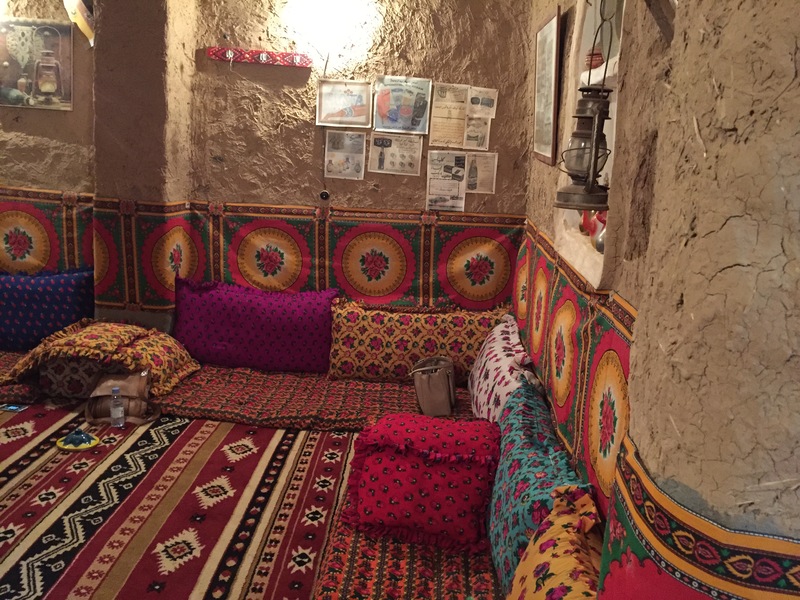 Do you have any idea what they used for covering the interior walls of the room? Seems like clay mud and straw. Thank you! 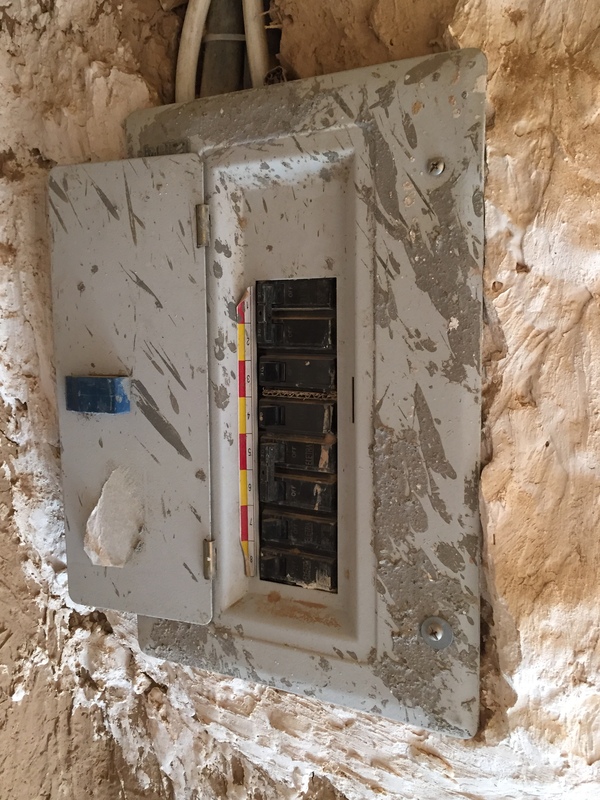 I know at least in important rooms there’s a white plaster coating, but I don’t know if it would have been used in utility spaces, or at in poorer homes.